Omnicom also announced it had reduced staff by around 1,400, of which 500 will be replaced, which Wren characterized as a restructuring to keep pace with the industry. CEO John Wren took an optimistic tone in Omnciom’s third quarter earnings report call, despite the holding company reporting a slight decline in revenue compared to the third quarter of 2017. “I remain cautiously optimistic, especially as we go into 2019,” Wren said in response to a question about the holding company’s future, recycling a phrase he used to characterize his outlook for the holding company when it failed to meet revenue goals during the second quarter. He said his optimism is “based primarily on three things”: clients looking to invest in their own businesses, some “pretty handsome wins” that “should start to kick in” during next year’s first quarter and no major client losses. The worldwide revenue decline of 0.1 percent to $3.714 billion from $3.72 billion in 2017 was attributed to a negative foreign exchange rate, a decrease in acquisition revenue and a net of disposition revenue of 0.9 percent as Omnicom from 19 dispossessions. This was offset by an increase in revenue from an organic growth rate of 2.9 percent. Omnicom did report a worldwide revenue increase of 1 percent for the first nine months of the year, compared to the same period in 2017. It also reported a net revenue increase of $93.2 million—from $834 million to $927.2 million—or 11.2 percent over the same period in 2017. 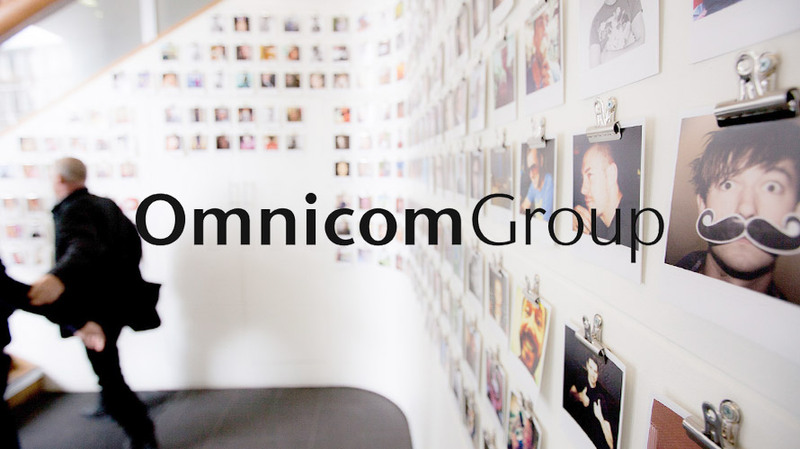 "As the largest global media player and a significant US player, Omnicom must continue to develop value beyond media planning and buying." Omnicom reported an increase in organic growth of 0.6 percent in the U.S. compared to the third quarter of 2017, 6.9 percent in Europe, 13.6 percent in Asia Pacific and 1.7 percent in Latin America, while decreasing 5.4 percent in North America (aside from the U.S.), 0.3 percent in the U.K. and 0.4 percent in the Middle East and Africa. Across categories, organic growth for advertising increased 4 percent compared to the third quarter of 2017, CRM consumer experience increased 5.5 percent, public relations increased 2.3 percent and healthcare increased 2.9 percent, while CRM execution and support decreased 3.6 percent. Omnicom announced it had reduced staff by around 1,400, of which 500 will be replaced, which Wren characterized as a restructuring to keep pace with the industry. He said that revenue from these new wins should start to boost Omnicom’s performance in 2019. Wren also discussed Omni, the holding company’s platform to connect creatives, CRM and media, saying the goal is to have all its agencies using the platform by the end of next year.